Now in its 7th year, the Home Owner Mark of Excellence (H.O.M.E.) Awards celebrate those companies who have achieved exceptional customer experience scores throughout 2016, as rated by their clients. Of the ‘Customer-Certified™’ builders who have met or exceeded the minimum customer satisfaction requirements, some top performers stand out in each of their markets, for their excellence in driving remarkable customer experiences. Best Customer Experience – New homebuyers rated their builder twice, 30 days post-possession and 13 months post-possession. Builder of Choice – New homebuyers rated their builder twice (as above), plus, their trade partners and employees evaluated them. “H.O.M.E. is a difficult achievement for companies because the only judge in these awards is the voice of the customer, trades and internal employees. Builders must deliver on their promises and follow through on one-year obligations to the customer. For the Builder of Choice, the company must also have employees and trade partners who have been treated as ‘part of the team’ – not an easy task,” says Christian Caswell, President & CEO, CustomerInsight. Congratulations to all ‘Customer-Certified™’ companies for your outstanding accomplishments . Click here for a complete list of winners and finalists. Getting set up for the big event. 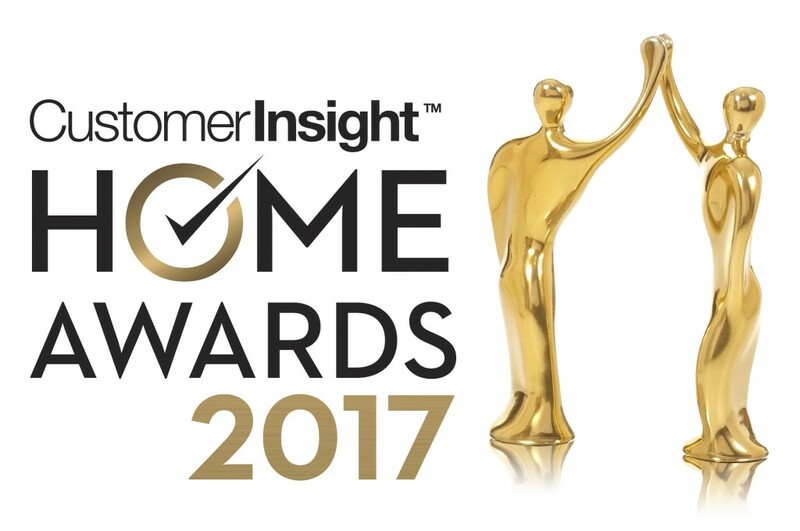 Bigger and better than ever: we are so excited for our 2017 HOME awards. An event crafted for those who stand out. The HOME Gold status recognizes the best of the best, as rated by their customers. Top performing companies compete for two possible awards, Best Customer Experience and Builder of Choice. A highly sought-after award that is solely based on the voice of the customer. This unique award deserves a one-a-kind look, so we’re thrilled to show you what went behind the creation of our beautiful new award. • The designer and artisan of our beautiful statue, Jan Hoselton in collaboration with Jay Hennessy, is Canadian based in Belleville, Ontario and the creators of the CHBA SAM Award for the last 30 years. • The design team works in collaboration to sculpt each award. Each artisan, uses his/her skill from the molten recycled aluminum pouring stage, through an intensive 7 step polishing/finishing process through to the last hand polish and quality control inspection; and only upon passing a strict quality control, does it have the final approval to be sent for the gold tone and platinum finish and fitted to the aluminum foundation, ready for engraving. Each piece is handled/passed through approximately 12 people. • Although there are no perfect sculptures, as each one is individually created by hand, there are certain irregularities that to the trained artisan’s eye would be considered not acceptable. 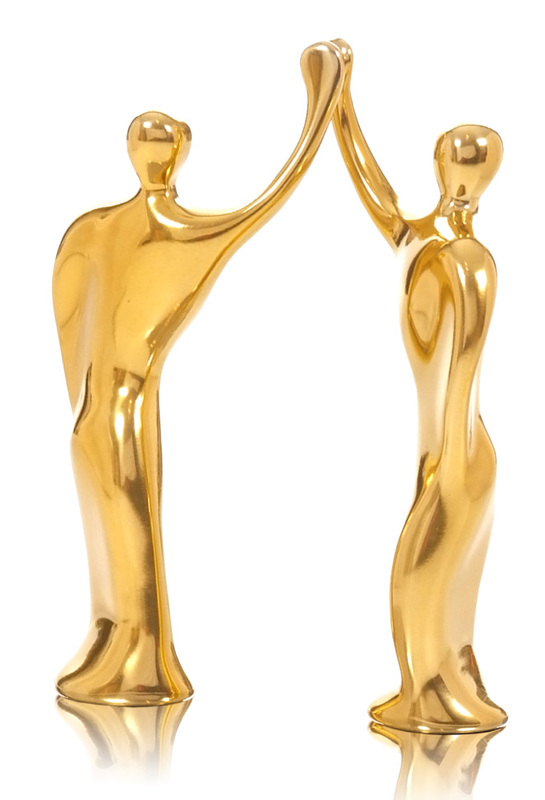 The “high five” statuettes present unique challenges due to their shape, colour requirements (gold and platinum tone) and uniquely precise placements on the aluminum foundation. 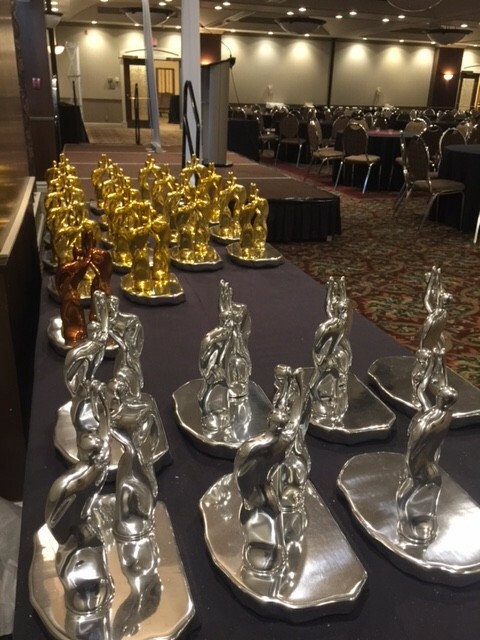 Each award is hand fitted into the “high five” position, without a template, as each piece is unique. The subtle differences, in fractions of a millimeter, can cause the sculpture to not align correctly/not touch at the hands placement. After each award is completed, it is thoroughly rechecked and repolished prior to packaging. 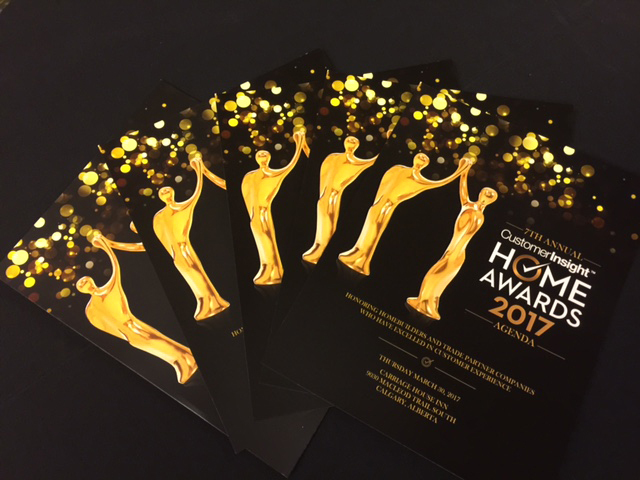 • The designer and artisan captured the essence of HOME Awards, which is based on a foundation of relationships, trust and working together as a team. Symbolic to the builders/companies and their teams of people, it is very important to create amazing award winning homes. • The inspiration of the infamous “high five” recognition between ‘people’ as a form of celebration and award-winning victory reminded us of how so often, people (sports teams, business team, sales teams, your friends, supporters, team members, etc.) show their enthusiasm, recognition and congratulatory spirit for their success. It’s a true testimony to the builder on their overall year’s success, by way of customer satisfaction, trade colleagues, suppliers, etc. 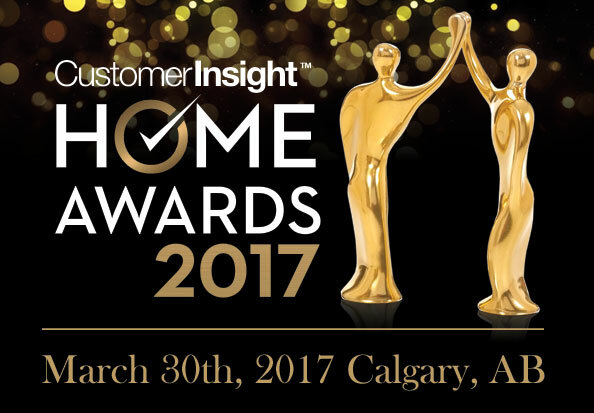 Our 2017 Home Awards take place March 30th in Calgary, Alberta. There’s still time to register.